MILWAUKEE, WI. -The national law firm of Quarles & Brady LLP announced that its chairman John W. Daniels Jr. was a panelist at the opening plenary session of Chicago United's 9th Annual Changing Color of Leadership Conference on November 15. Daniels and C-suite leaders Steve Pemberton, Divisional Vice President and Chief Diversity Officer at Walgreens, and Marco Tasso, President & Chief Executive Officer of Northstar Lottery Group LLC, offered their insights on the topic, "Paths to Professional Empowerment and Leadership." The Changing Color of Leadership Conference is the preeminent forum for business leaders, diversity professionals and minority business owners throughout the Chicago region, who discuss strategies that energize corporate leaders and create organizational change. Daniels considers the conference and Chicago United essential to the causes of racial equality and justice that he has championed throughout his career. "For the past forty-four years, Chicago United has been a leading force in strengthening the diversity and inclusion dialogue in the business community," said Daniels. "Empowering the next generation of diverse leaders is a challenge and an opportunity I eagerly embrace." 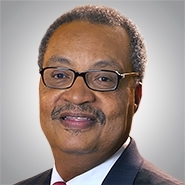 Daniels was named one of the "50 Most Influential Minority Lawyers in America" by the National Law Journal in 2008. In 2012 he received a Spirit of Excellence Award from the American Bar Association Commission on Racial and Ethnic Diversity in the Legal Profession. He also recently received an Excellence in Education Award from the Milwaukee Public School Board of School Directors as well as a Friend of the University Award from the Marquette University Alumni Association. As chairman of Quarles & Brady since 2007, Daniels has led the firm through a fundamental transformation, shifting from the traditional operational model upon which most major law firms are built to a client-centric, business-minded organization. He has driven this fundamental cultural shift in the midst of the worst economy in decades, leading to significant growth while much of the legal industry declined. Chicago United is an advocacy organization made up of racially diverse CEO's and executive-level managers who strive to increase economic opportunity for all races by promoting multiracial leadership development in corporate governance, the leadership pipeline and business partnerships. Through a fierce brand of constructive conversation, Chicago United fosters inclusion and provides an opportunity for senior executives from all racial and ethnic groups to learn from one another, confront and break down racial barriers and achieve shared objectives.